Promotion is in full swing for the forthcoming She-Ra and the Princesses of Power cartoon series! DreamWorks have launched a new virtual reality website to introduce viewers to the world of Etheria via character bios, audio clips of the voice actors and more. 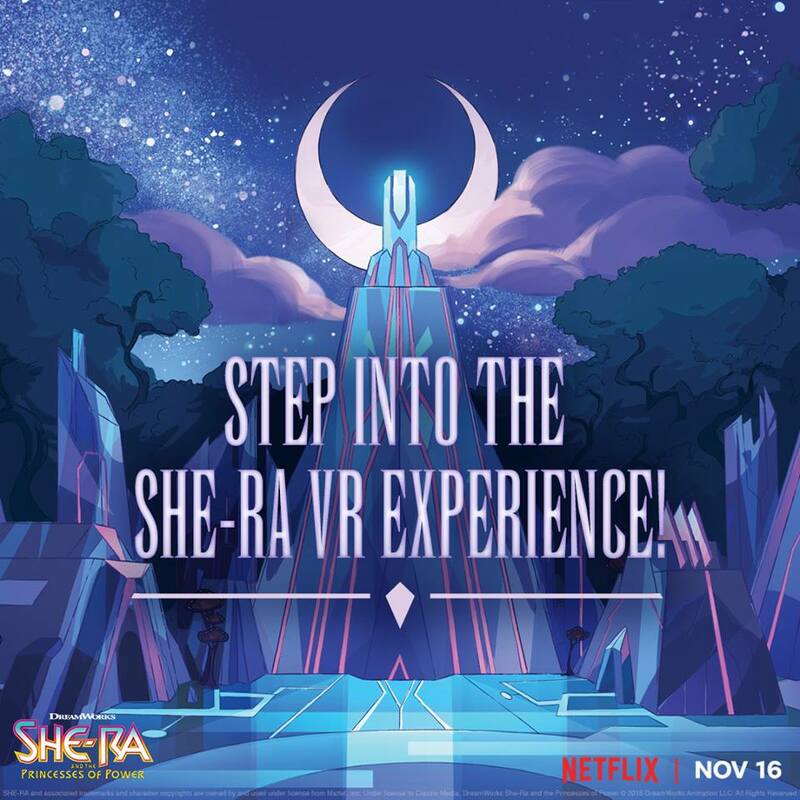 The "She-Ra VR Experience" can be accessed through the official website here. Google Cardboard and Oculus Rift are some compatible device options if you want the full "futuristic" experience. The She-Ra reboot will be dropping on Netflix November 16th. Season 1 will have 13 episodes. Click here to join the discussion on the He-Man.org forums! The She-Ra VR Experience image.